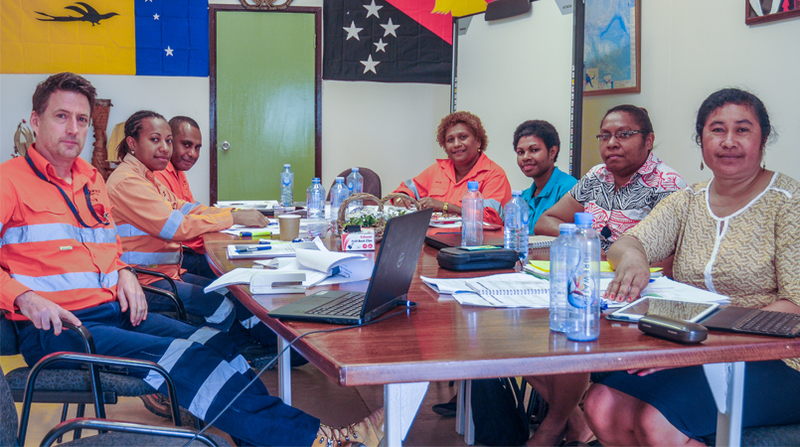 Discussions are underway to establish higher education pathways for locals in Lihir, New Ireland Province. The discussions between Lihir Gold Mine operator, Newcrest-Lihir, and the Department of Higher Education, Research, Science and technology (DHERST) will pave the way for diploma courses to be provided through the Lihir Resource Centre. It is intended that the centre, which currently caters for Lihir locals wishing to upgrade their academic grades, be affiliated to the major universities in PNG. The idea is seen as a pathway for locals to pursue further studies. Newcrest-Lihir Learning & Development Superintendent, Craig Roberts, said the main advantage of the program is that it would be an advanced-standing Diploma allowing Lihir graduates to have access to further studies within Higher Education Institutions. “Another advantage of the Diploma program would be the opportunity for a standalone Tertiary qualification in its own right,” he added. DHERST Public Providers & Quality Assurance Manager, Elsie Vincent, said the department was committed to seeing the Lihir Resource Centre grow and realizing its ambition to help the people of Lihir and New Ireland. “We don’t really have a lot of Higher Education institutions in PNG so this pathway is great for the province as a whole, to really assist the growth of the student population coming out of this province,” she said. Newcrest-Lihir has taken on education and training programs initiatives to up-skill Lihir locals for job employment as well as self employment. Recently the resource company re-opened its Business Development Office in Lihir to help train Small and Medium Enterprises (SMEs) become successful. The company also provides apprenticeship programs for locals in existing institutions such as the Lihir Technical Training Centre (LTTC).